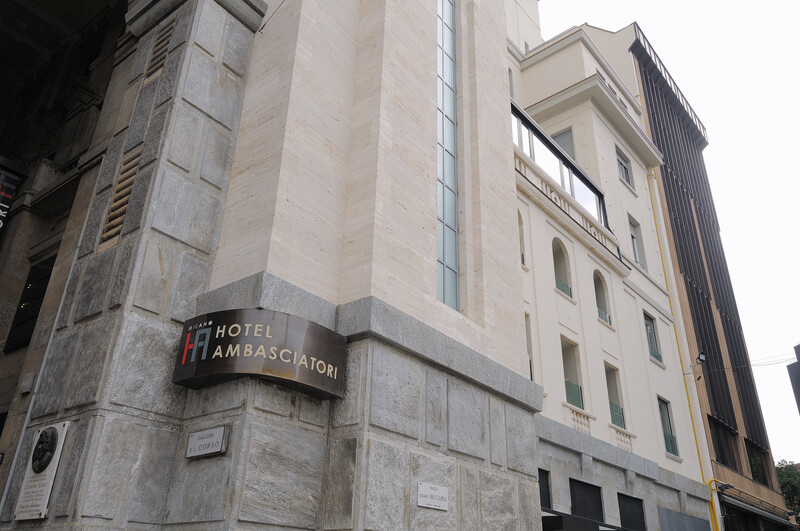 The iH Hotels Milano Ambasciatori hotel has 103 rooms located in a 10-storey building right behind the Duomo, and some rooms offer a dramatic and unforgettable view over the Cathedral spires and the famous Madonnina. 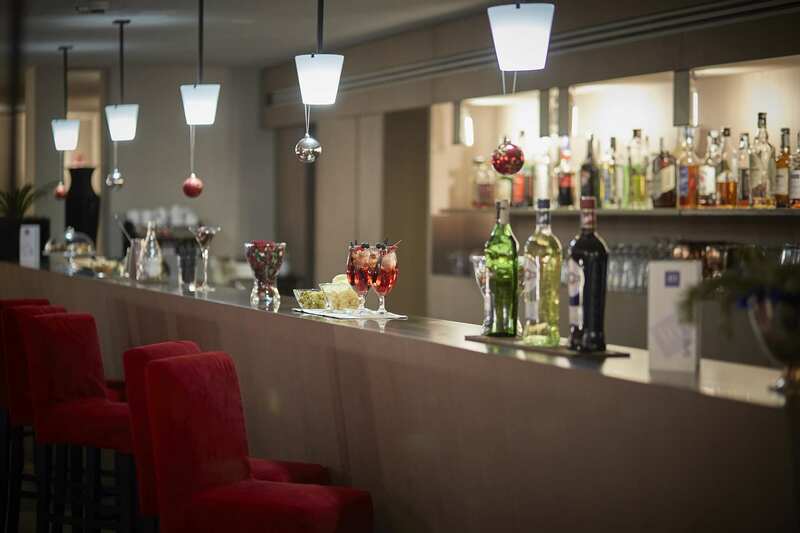 iH Milano Ambasciatori hotel offers a sophisticated, functional and welcoming environment, with a large Lounge Bar where our guests can enjoy a relaxing drink at the end of their day. Broadband wifi connection is available to ensure fast and efficient connectivity. The Montale meeting room has a surface of 43 sqm and can host business meetings of up to 15 people, with natural lighting and a wall screen for your presentations. The hotel flagship is certainly the Lounge Bar, open every day fro 4:00 pm to 11:30 pm. A comfortable space especially designed for a warm welcome and a relaxing aperitif at the end of your day, or a sophisticated cocktail after dinner. 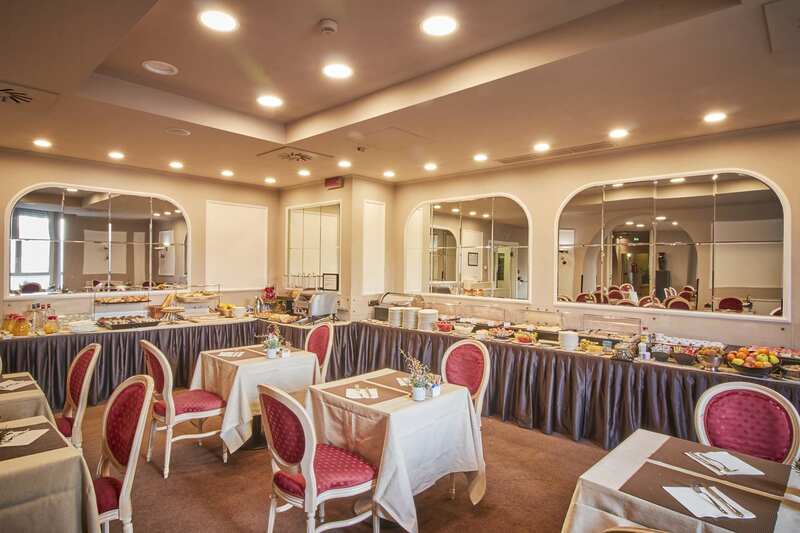 The best wakeup ever: treat yourself with a rich and yummy buffet breakfast made with sweet and savoury fresh ingredients, the true top strength of iH Milano Ambasciatori. Delicious pies and cakes, baked every morning, croissants of all kinds, fresh seasonal fruit, yoghurt, fruit juices, an amazing selection of teas, tasty biscuits and cookies, different types of cereals, gluten-free products, accompanied by cold and hot drinks, cold cuts, eggs and much more to help you start your day in the best way. Breakfast is always included in the price and for those who prefer to have breakfast in their room, the service is available at a small extra charge. The breakfast room is open every day from 7:00 to 10:30 am.